He is an award-winning writer, a public speaker, and a professional mechanical engineer. 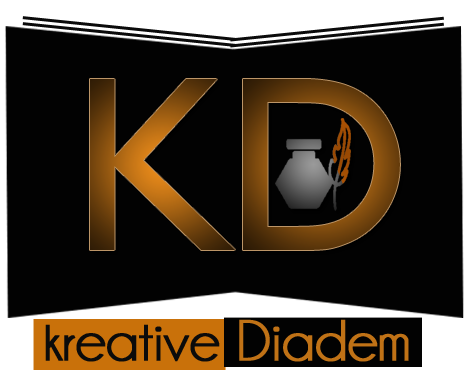 He is the creative director of Kreative Diadem – a platform for poets and writers. You can find some of his works on TheCable, YNaija, ScoopNG, The Manitoban, WRRNG amongst many others. Asides writing, his creative side expresses itself via photography and website designs. Osho has a personal blog (www.samosho.com) where he frequently shares his thoughts on writing, life, creative work and digital marketing. When he is not writing, he enjoys watching football, designing websites and meeting new people. You can follow him on social media via @iamsamosho. I always define myself as the one in the mind of words. Passionate of Literature since my 8th year on earth, I started reading books of English Poetry when I was 10. Now I spend my days and my nights with words, those coming from Nature and those from books. Author of the novel, The Last Ghost: Son of struggle, I am also author of a large number of unpublished poems (French and English). Mentor of many authors around the world, I provide customized workshops online and physically. Everything that is written is my concern. My areas of competence are: translating, reviewing, analysing literature, training reviewers and analysts, content specialist, researching in new ways of achieving writing and reading. I currently live in Yaounde, Cameroon, where I’m Vice-President of Le Salon de Littérature Yaounde-Cameroon, a group of authors and passionate of Literature. My love for words naturally makes me a Children’s defender, especially the poor and vulnerable ones. Education and well-being are my priority. As an active member of OneAfricanChild Foundation for Creative Learning, Vice-President of PROMISE Africa and Coordination Team of HEADA Cameroon, I dedicate my days to the Peace-building Process. I only have one line in life, when it comes to words: What your eyes see only become vital when it’s your souls writing it. ‘Gbenga Adeoba is from Nigeria, where he lives. His writing explores themes of memory, transition, and the intersections between the imaginative and the historic. His poetry has been featured or is forthcoming in Elsewhere Lit (Anthology of Contemporary African Poetry), agbowo.org, Notre Dame Review, Prairie Schooner, Oxford Poetry, Poet Lore, Salamander, Pleiades, and others. Find him on Twitter @_Snowburl. Olaleye Samuella is a graduate of Cell Biology and Genetics from the University of Lagos. An avid reader, she enjoys spotting great works of art whether it is music, painting or literary works. Her love for books and quest for excellence is at par with her love for the biological sciences. A copy editor is her everyday life, her life’s purpose is to spot quality material for the advancement of the literary world. Diana Anthony is a graduate of Criminology (Hons.) from the University of Manitoba. She enjoys engaging in debates intended to spark meaningful social change globally. Her undergraduate Honours thesis entitled: “Many are called, “none” are chosen examines the ways in which racialized groups, in particular, African Americans and Indigenous Canadians are discriminated using the law. She believes that we live, talk, and do Sociology and attempts to draw these Sociological connections through everyday lived experiences. Given her passion for writing, she worked for the student press (The Manitoban) between 2016 and 2018 interviewing and writing news articles for weekly publication. During this time, she also worked alongside instructors from various faculties, carrying out duties such as marking/grading essays, and providing feedback aimed at improving students’ writing quality. A strong advocate against ageism, she believes age should not be a determinant of one’s capabilities or potential. She enjoys watching famous tennis star Serena Williams, who continues to prove that one’s life does not end in their 20s. Though having no background in film, Diana hopes to become a screenwriter, eventually breaking into Hollywood someday. Kanyinsola Olorunnisola is a Nigerian poet, essayist and writer of fiction. His experimental works have appeared on many platforms, including Brittle Paper, Bird’s Thumb, Kalahari Review, Bombay Review, Lunaris Review, African Writer, Sprinng.org, Tuck Magazine, Gyroscope Review, Parousia Magazine and Sampad International Anthology. He was the 2016 recipient of the Albert Jungers Poetry Prize. He also won the 2016 Brigitte Poirson Poetry Contest (February) and was shortlisted for Ogidigbo Poetry Prize and Eriata Oribhabor Food Poetry Prize. He is the founder and president of SPRINNG Literary Movement. I am a graphics designer that has a passion for the heavenly vision, also into photography and videography. I hail from Bayelsa State Nigeria. I speak English and Ijaw. My university days were spent at Benson Idahosa University, where I graduated with a Bsc. Computer science. My passion for graphic design is my top strength and won’t stop designing till the sky cracks open. Ayobami Marcus OLASUPO, a student of the University of Ibadan, is a graphic designer par excellence. He enjoys the creative challenge, working directly with his clients, and pushing himself to produce the best work possible. He also does user experience design, making sure that websites and mobile apps are human-friendly, emotive, clear and aesthetically pleasing. He has an interest in Management Consulting and is passionate about the use of data-driven insights and creativity to meet clients’ goals and expectations. Folakemi Esther Suulola is a creative writer, graphics designer, and event compere. She is an award-winning public speaker who is attracted to anything that proves that God is creative. Folakemi is an undergraduate of Electrical and Electronic Engineering at the University of Ibadan, Nigeria. She is a tech enthusiast who promotes ICT skills, especially among females. Esther is a lover of nature, music, and culture. She loves to appreciate and critically analyze works of art. She enjoys meeting new people, places and sharing ideas. Her pen-name is Flourish-Davidine.